Most divorce cases in Nassau or Suffolk County concern common issues like child custody, alimony, child support, division of assets, and more. 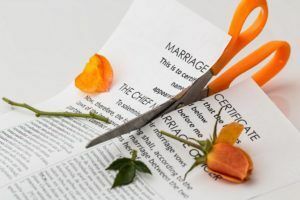 A divorce can be considered complex when the issues are more difficult to appease and are of higher value such as tax problems, tax assets, and marital assets in multiple states. Other causes of complex divorces can also be caused by non-monetary factors such as adultery, gambling, drug or alcohol abuse, or issues concerning mental health. A complex divorce is when there are many issues to resolve and requires help from an outside party. If assets such as business or taxes are involved, a financial planner should be involved. The amount of help needed to dispute the issues is based on the complexity of the divorce. Like any crucial issue, it is important to seek a knowledgeable expert in the field. How can you resolve disputed assets? Besides finding the right attorney and other related experts to have on your side, there are other methods that can be as effective. One example is mediation. This option means that both you and your spouse come to a decision that will benefit both parties. A benefit of mediation is that you are able to present facts, opinions, demands and feelings openly as well as get your spouse’s perspective. If mediation doesn’t seem right, collaborative law may help. Unlike mediation, the collaborative law process is ruled by a neutral specialist. Both you and your spouse would have an attorney that is looking for what will be the best possible outcome for who they are representing. If an agreement isn’t reached by both teams after several meetings, you will need litigation. This entails consenting to present the facts in court. A downside of this is that information you might prefer to be private will then become public information at this point. Divorce becomes more complex when considering any aspect beyond the realm of home ownership, property distribution, and children related issues (by marriage). If neither collaborative law or mediation is helpful, you will need to pursue litigation. Regardless of which option you choose, make sure you choose an attorney who specifically has knowledge and experience in this field. See our Long Island, NY spousal maintenance lawyers for a free consultation to discuss your complex divorce concerns in Nassau and Suffolk Counties. Simonetti & Associates will best represent you and your interests at an affordable rate. If you are considering divorce, or wish to switch attorneys, contact us online or call 877-385-2560. We offer flexible appointments and free consultations at our Woodbury office. We will return your calls promptly, regardless if you call after business hours. Simonetti & Associates will best represent you and your interests at an affordable rate. If you are considering divorce, or wish to switch attorneys, contact us today!